When we reviewed our first 4” smartphone, first impressions were that it was too big. The same happened when we received the 4.3” Galaxy SII – once again it seemed too large. HTC's 4.7” One X on the other hand, came across as simply just right. Not too big nor heavy, it seemed very much normal, even though it’s one of the larger devices out there. This “just right” attitude conveniently translates to the rest of the device – there is really very little to crit the One X on, since it does everything (well, almost everything) just right. Like a number of flagship models, the One X’s Gorilla Glass screen crosses the 300 dots per inch mark (312 dpi, 1280 x 720), but does not quite match the iPhone 4S’s 330 dpi and the Sony Xperia S’s excellent 342 dpi. None the less, it’s a beaut, with its clarity in direct sunshine something to behold. The quality of the screen further comes to the fore once you start taking pictures. It displays photos and videos brilliantly, making you look twice at a photo you’ve just taken if only to enjoy it displayed on the screen. Fast and powerful with an impressive 4.7" display - the HTC One X. As HTC’s flagship device, performance is of course written all over this device. As the first smartphone landing at our office with Nvidia’s quad-core beast, the Tegra 3 chipset, onboard, it was a case of veni, vidi, vici, since it blew the opposition out of the water. A combined score of 10652 on Antutu benchmarked toasted the dual-core Samsung Galaxy Note (6240) and Sony Xperia S (6658), while it also ruled the roost on Smartbench 2011 and 2012, striking scores of 8637 and 7507 respectively. In real life this translates to very little waiting that needs to be done on your side, whether it is for pictures to load, the app screen to pop-up or when playing video. There’s no doubt that the HTC One X with the Tegra 3 is the real-deal, but its opposition has been dual-core dirt-trackers. The true test will come when we can pit it against the most hotly anticipated Android device ever – the Samsung Galaxy S3. The S3 makes use of the company’s quad-core Exynos 4212 Quad chip that runs at 1.4 GHz and will definitely raise the competitive bar. That said, we’re quite sure that how well these machines perform during benchmarking will not be the final determining factor when making a purchasing decision. Just like the Sony Xperia S, the One X’s performance on the photography side makes waiting for a pokey camera a thing of the past. The eight megapixel camera is quick on the draw, ready to capture photos in less than a few seconds, while there’s almost no lag when shooting. Unfortunately you don’t have a physical shutter button on the side, which means a fumbling thumb trying to touch the on-screen button. It makes up for this with rapid-fire shooting (with an option to select the best shot) and quick-and-easy filters for your pictures. It’s dead easy to implement these Instagram-like filters, while we especially liked the adjustable vignetting and depth-of-field ones. Photo quality is up there with the best of them, but when push comes to shove we still prefer the iPhone 4S, since it deals better with white tones. Also onboard is HD video recording (1080p), along with the ability to shoot stills while taking video and capturing pics when playing back video, including movies or series. Beats Audio onboard the One X makes for impressive sound via earphones. It’s on the music front that we were blown away, and with HTC the majority shareholder of one of the hottest brands right now, Beats Audio, we would expect nothing less. Plug in a headset into the One X, and a special Beats Audio booster takes your music to a different level. We were sceptical of this at first, but the improvement is undeniable. Unfortunately you have to stick with the proprietary Music app, since Beats Audio won’t function through other players such as Winamp. Playing music or listening to calls via the onboard speakers is sufficient, and does not require any strain – in short the One X offers an impressive audio experience. The inclusion of the Recent app soft button at the bottom is also strange, since long-pressing Home in the past use to show your recent apps, conveniently placed as small little icons in rows. Press the Recent App button on the One X and HTC pops it up as a side-scrollable line of app screenshots. Although this looks spiffy, in practice it means taking your time to scroll through these until you find the app you are looking for, instead of simply clicking an icon as in the past. The Recent apps is also the one area where the One X is lacking in pace, being a bit tardy to show the icon of the app’s screenshot. Onboard ICS is Face unlock and although this feature does as it says (it unlocks your phone by scanning your face via the front facing camera), we grew tired of it within the first day. It seems to be that split-second too slow and this, coupled with bad performance in low light, make it quicker to simply have a pin code or pattern unlock. With its smooth curves and stylish design, the One X is worth its flagship status. Sense 4 - as important as in the past? There’s not a lot to complain about HTC’s Sense 4 user interface, being a continuation of the great work that was done on previous versions. One good thing is that HTC seems to have cut down on the amount of data Sense consumes, being a lot less hungry than in the past. Our opinion is that the skins that manufacturers provide is becoming less of an issue, since a number of impressive application launchers, the likes of Go Launcher EX, are available to download from the Android Play Store. Shortly after receiving the phone, it asked us to install two rather large updates (about 30 MB, but don’t quote us on that), so make sure your data contract/Wi-Fi network is in place. So our applicant has answered all our questions correctly, looks smart and surely can’t be faulted for his performance, but the One X falls short on one important aspect – battery life. Most smartphones can go about a day before heading to the charger. With the One X there were a number of times that we had to recharge it before the day was through. If you’re going to do a lot of surfing, listen to music or playing games, you’re going to have a bad time. It’s the one area we believe that the Galaxy S will be the clear-cut winner, since it boasts a 2100 mAh battery vs. the One X’s 1800 mAh. The fact that the One X’s battery cannot be removed, much like the iPhone and the Nokia Lumia 800, is another point of concern. If all else failed, reinstating the battery was always the final solution to a frozen Android phone. In our two week period the One X has not hung yet, but we’re not sure about what will happen in future. Replacing the battery is another concern, since it would have to be sent for service. With 26 GB of usable space available on the device, the fact that it does not contain a microSD card slot becomes less of a concern. Still, it is a convenience to expand on the memory, and even 26 GB can fill up after a year’s use. Also missing is a micro HDMI slot, as featured on the Xperia S.
An excellent 4.7” screen, amazing music playback via Beats Audio, top of the podium performance and a super snapper - all this take the HTC One X to the number one spot of our top smartphones. 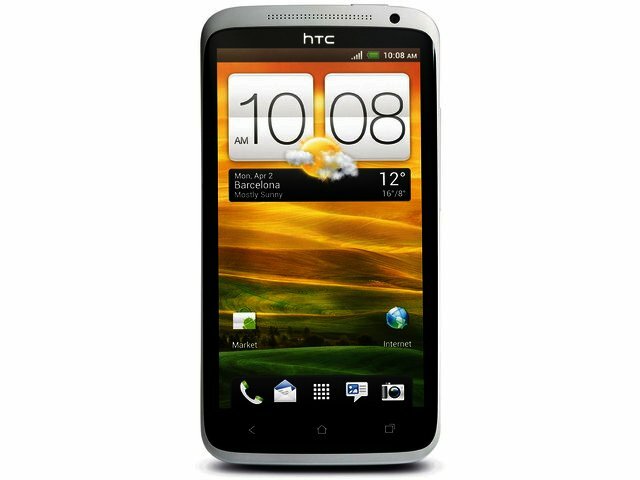 Although bad battery life is a serious let down and we’re also concerned that one cannot remove the battery, there’s few reasons not to recommend the HTC One X. Remember though, this is before we’ve tested its closest rival - the Samsung Galaxy SIII. 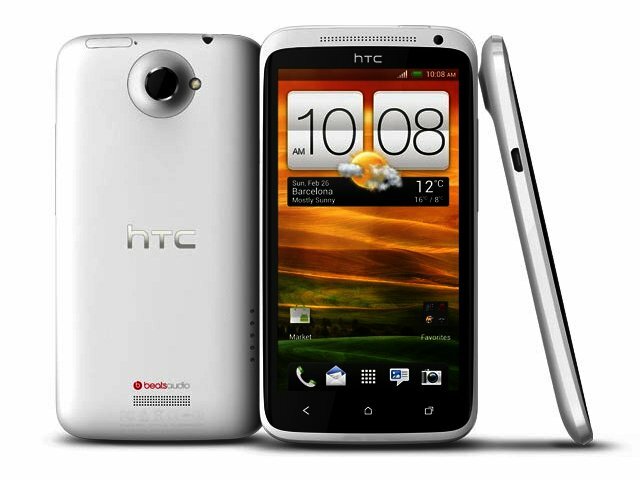 The HTC One X available in the region of R6700. UPDATE 14/6/2012: The HTC One X can also become quite hot when doing intensive processing, such as playing games. UPDATE 15/8/2012: The One X has recently received the Android version 4.0.4 (148 MB) update, providing HTC Sense 4.1. For us the biggest improvement was the ability to map the "recent app" key to not only take you to your most recently used apps, but also to the "menu" option within apps. Although some sites mention an improvement in battery life, we are yet to experience this. • improve tab management in the browser with a dedicated tab switching button. • enhance camera capabilities such as white balance and continuous autofocus. • enhancements to memory, platform stability and the overall browsing experience. • single sign-on for Facebook allowing user access across applications and browsers and upgrades to Beats audio. • the update comes with an EA Games application which gives HTC One X users Dead Space for free (R55.04 on Google Play). Disclosure: The HTC One X was received as a seeding unit, and was not collected after the review period.